Let's look at the very beginning of the Bible, the Book of Genesis. Here is written about the creation of our world. 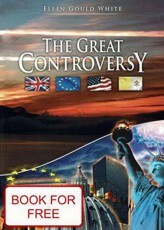 We learn that God created this world in six consecutive days and rested the seventh day. He had finished all their creative work, rested from all his work he did. Genesis 2.2 - the seventh day God finished the work he had worked on in the seventh day he rested from all the work you did. God at the very beginning of creation in six days after his amazing creative work rested on the seventh day. God rested on the seventh day and blessed the seventh day and hallowed. Genesis 2,3 - God blessed the seventh day and sanctified it: because in it God rested from all His work, which created and made. The Bible was written for the Jewish nation, we must consider the difference between their and our Greek thinking. The Semitic mind asks: What is it? What purpose and what the objective pursued? The questions are based on Greek thought: How did this happen? What is the essence? The questions of how it happened but the Bible does not. Bible answers to questions on what it is. Why did God put at the very beginning of the world so much emphasis on the seventh day that he made a saint? Since the purpose of creation is that we people have entered into a relationship with God. The biblical text gives an indication that God created man and woman to live in eternal communion with the Father, Son and Holy Spirit. 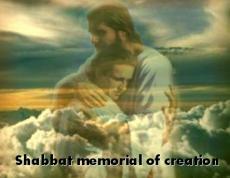 The highlight of the description of creation is a report on the sabbath. Note, however, that the primary aim of relaxation is physical relaxation. Who needed a rest? God? Isaiah says that God no languish. The primary aim of the rest of community, communion with God. Put God first. It is not a day that did not come out of bed, it would be no day of rest but lazy. God says that Adam and Eve: "None of what you see around you, nothing of all this splendor, nothing that does not make you happy. Find your happiness in material things. You were created for relationship. " Therefore, the seventh day Sabbath God comes to us and we followed him, and cementing the relationship with our Creator and Redeemer. God rested on the seventh day and walked by us as an example, maintain to this day as he. He walked us an example, we keep the seventh day of the week Saturday, a day of rest, a day of meditation and communion with our Creator. To see our Creator for taking the time, just as God does it for us. What bothers people so much today? No time, no time! But God loves us so much that for a relationship with us does every time the seventh day of the week - Saturday, since the creation of the world. Now we know that Saturday is established from the beginning of creation. Let's look at the fourth of the Ten Commandments that Moses received from the Lord on Mount Sinai. Exodus 20,8-11 - Remember the Sabbath day, to keep it holy. Six days you shall labor and do all thy work: but the seventh day is the Sabbath of the LORD thy God. Thou shalt not do any work - you, your son, nor thy daughter, thy manservant, nor thy maidservant, nor thy cattle, an immigrant in your gates. In six days the LORD made heaven and earth, the sea and everything in them, but rested the seventh day. Therefore the Lord blessed the Sabbath day and hallowed it. The fourth commandment of the Lord reiterates that we should remember the Sabbath day, to give us a saint. A day of rest dedicated to the Lord your God. We are speaking clearly and strongly, why is the seventh day of rest on Saturday. Because in six days the LORD made heaven and earth, the sea and everything in them, but rested the seventh day. Therefore the Lord blessed the Sabbath day and hallowed it. Saturday is established by Jews or other people's fiction. It is from the first day of creation established by our Creator for all the people we met with him and converging. There is no verse in the Bible, which says she was moved Saturday to Sunday? In the Bible, you will not find a single verse that pointed to a change of rest Saturday and Sunday. What day of rest, holy Jesus Christ? The Bible in many places tells us that Jesus Christ is maintained as a day of rest on Saturday. Luke 4.16 - When he came to Nazareth, where he was raised, attended as was his custom on the sabbath day, to the synagogue and stood up to read. Holy disciples after Jesus' departure on Saturday or Sunday? Disciples after Christ's ascension, observes the sabbath on Saturday. Acts 13,42-44 - When he left the synagogue, local pagans are begging them to tell about those things next Saturday. Once the assembly was dissolved, many Jews and devout proselytes followed Paul and Barnabas. They are then urged in an interview, either remain in God's grace. Next Saturday on hearing God's word brought together almost the entire city. Acts 16.13 - We went on Saturday for the city to the river, where it was customary to pray. We sat there and talked to women who gathered there. Acts 17,1-2 - Despite Amfipolis Apolonia and then came to Thessalonica, where was a synagogue. Paul there as was his custom to go and three Saturday spoke to them from the Scriptures. Who and Why change the law of God? Who changed the Sabbath to Sunday? Daniel 7,24-25 - After them another king will arise, different from previous ones, and they subdue three kings. Will speech against the Most High, the saints will be wrong and try to change the times and rules. The Catholic catechism of 1977. Q: What day is Saturday? Answer: Saturday is the seventh day, Saturday. Q: Why do we keep Sunday instead of Saturday? Answer: We keep on Sunday instead of Saturday because the Catholic church transferred the sanctity of the Sabbath on Sunday. As Jesus Christ said about the law, one has the right to change God's provision? Matthew 5,17-19 - "Do not think that I have come to abolish the Law or the Prophets. I did not come to abolish but to fulfill them. Verily I say unto you, till heaven and earth pass away not the smallest letter, not one tittle of the law, before it all come true. Anyone would eliminate one of these least commandments and teach the people in the kingdom of heaven is considered as the smallest. But whoever would be fulfilled and taught the kingdom of heaven will be regarded as great. The prophecy of the destruction of Jerusalem, which happened in the year 70 AD, about 40 years after Jesus Christ said to pray for people that do not have to run on Saturday. So Jesus did not cancel or change on Saturday. Why else would he urged people to pray that even in the harsh conditions to keep the Sabbath day? And what the first disciples? Saturday and still maintain the Ascension of Jesus Christ? Paul and Barnabas preached during a Saturday morning worship. Preached on Saturday and another next Saturday night for almost the whole city. Thus we learn that 14 years after the resurrection, the disciples still observes the Sabbath. Paul said they do not have to wait until next Saturday come on Sunday, it's the Lord's Day, but again went into the synagogue on Saturday. What the Apostle Paul said about the law? Romans 7.12 - but the law is holy, the commandment is holy and just and good. What is a day of rest on the new earth? Isaiah 66,22-23 - As a new heaven and new earth, which will make, shall remain before me, saith the Lord, and remain, your name and your descendants. From new moon to new moon, from Saturday to Saturday all people will come to worship me, saith the Lord. Is the ark of God with God's Ten Commandments constant even heaven? Revelation 11,18-19 - nations revolted, but thy wrath came, it came time to court over all the dead and the payback time for your servants, the prophets and saints, and to all who cherish thy name, small and great, and the time of destruction those who corrupt the earth. "Then the temple of God opened in heaven, and his temple was seen the ark of his covenant. Saturday will be a sign of God's people at the time of the end? In conclusion, the history of this world will be persecuted by those who keep all of God's Ten Commandments. They will be two groups, one to follow God and obey His commandments throughout. The second will follow the beast, Human Regulation papal authority. Revelation 12.17 - Then the dragon was angry at his wife and went to make war with the rest of her seed, who keep God's commandments and have the testimony of Jesus. This article interspersed biblical verse clearly finalize the fact that Saturday was established by our Creator from the beginning of creation. Was taken because we met with our Creator and have formed a close relationship with him. It was observed in the Old Testament, New Testament and in Jesus Christ and the disciples. Pillar Saturday will test engraved in our time of the end, God will separate the people from the followers of the beast. Saturday will be maintained in the new earth for all eternity to celebrate our Lord and Creator. Look right, see your Lord on the sabbath day, when we are waiting with open arms.